concrete batching plants allows us to provide to you at a very competitive price. Celebrating 33 years of continued service to Broward and Miami-Dade Counties. The company was started in 1981 by the Suarez Family and is still operating as a family operation that is dedicated to the highest quality and customer service that is unsurpassed by any other company. 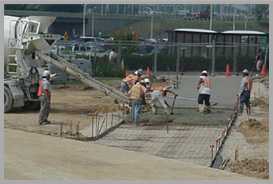 SFC looks forward to servicing all of your concrete and ready mix needs. SFC is certified as a Minority Hispanic-Women owned business. SFC has experience on a wide variety of projects, from large to small. Our goal is to be the best part of your construction experience. If you are interested in working with us, please contact our sales office and we will provide you with a free estimate on your project.